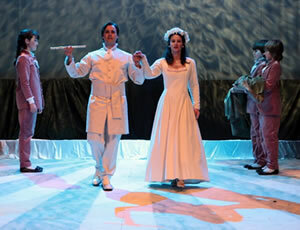 The early decades of the 20th century saw the Manoel presenting the operetta and the musical comedy as well as some opera and plays, both amateur and professional, in Malta’s three main languages. By the late Twenties, however, the cinema had such a following, that the Manoel began to present films much more than anything else, and this role it retained for around twenty years. During the Second World War it escaped any serious damage. It served as a shelter for the homeless, victims of the same carpet bombings that sealed the fate of the Opera House, totally destroyed in 1944. After this war, the building needed a thorough refurbishment and some restoration. 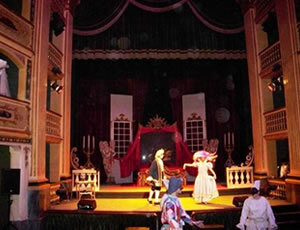 A decade-long restoration process by local traditional artisans and international experts saw the transformation of the building into a multi-functional theatre. The once lovely decoration of the atrium was restored from behind the grime and paint which had for so long hidden the theatre’s beauty. Inch by inch, the great ceiling with its 22 carat gilding was restored; the dozens of tiny panels and paintings which decorated the tiers of boxes were brought to life again. 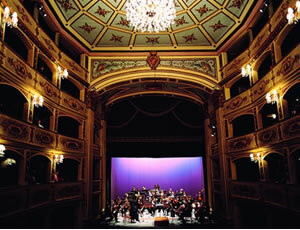 The theatre was bought back by the Maltese Government in 1957. The Grand re-Opening ceremony in December 1960, left the audience gasping with delight at this newly rediscovered jewel in Malta’s National Heritage, and heralded the new beginning of the Manoel. Now officially the country’s National Theatre, it has, over the years, hosted countless productions by both local talent and international stars, and has been the catalyst for the growth and appreciation of dramatic art in Malta. Since 1960, when it reopened with a performance of Coppelia by the Ballet Rambert, it has had an official Management Committee and it is no longer rented out for whole seasons to impresarios as in the past. As Malta’s national theatre, the mission of the Manoel, as it is affectionately referred to by locals, is to entertain, inform and educate, thereby enriching the cultural life of the audience as well as to provide a platform for artists to excel in their talents. It is committed to the presentation of quality artistic productions, to the creation of new audiences for music and drama genres, and to provide a principal platform for local and international artists. Teatru Manoel presents an annual performance season of concerts, recitals, opera, drama, musicals, dance, an annual baroque festival and an education programme.